This link will navigate you away from this website if you need a quick out. Aimee Beaulieu Transition House opened its doors in May 1995. Aimee Beaulieu and her twins, Samantha and David, who were killed in 1992. At Aimee Beaulieu Transition House we understand that leaving an abusive relationship may be one of the most difficult decisions to make—the cycle of abuse is complex. We are here to help with the first step in that journey to a life free from violence. Women and children leaving domestic violence will find a safe haven at the Aimee Beaulieu Transition House. This confidential, warm and welcoming residence has space for eight women and children and offers a safe and secure environment, a place of connection, help with basic and immediate needs, a warm bed and meals, a fully stocked playroom for children, supportive counseling, and space to simply heal after the experience of abuse and make plans for the future. The program’s Reduced Barrier mandate means that we also provide support for women who have experienced violence and who have varying levels of mental wellness and substance use. 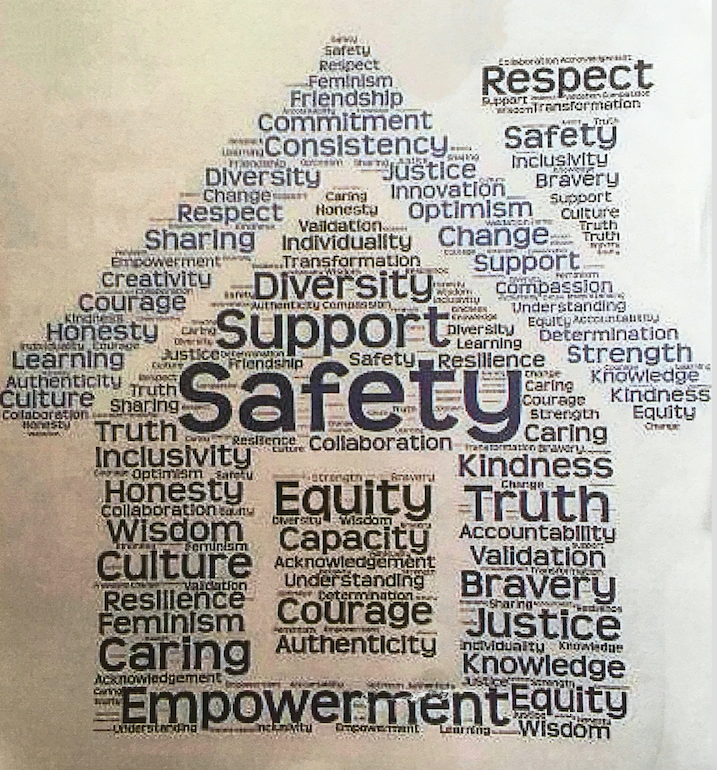 Transition House staff are skilled in helping women process what has happened and are trained to conduct risk assessments, develop safety plans, help navigate legal and other systems, and provide supportive counselling. The staff team works from an intersecting feminist perspective which honours and acknowledges women’s strengths, accepts and validates women’s experiences and feelings, and honours that women are the experts of their own lives. the safety, security and anonymity of our clients. All staff, volunteers, supporters and residents are required to honour this confidential location. This program is funded by BC Housing.